Staying active is crucial for a healthier life and your overall well-being, and yoga can play an important role in strengthening your muscles after giving birth. Keep reading to learn about eight of the best prenatal and postnatal yoga classes for mums and bubs in Singapore. Mother & Child started back in 1994 as a prenatal and postnatal education centre, and since then, it has evolved into offering classes, courses, and workshops for mums and mums-to-be. They offer both prenatal and postnatal yoga classes — mums are welcome to join any time at least six weeks after a natural delivery, or 12 weeks after a c-section. Bub is welcome to join as well. The holistic wellness experts at Como Shambhala combine science and exercise with the ancient healing meaning of yoga. They offer postnatal yoga classes that focus on poses that help new mums to regain strength and stability in the abdominal area, pelvic floor, and back. They also teach deep-breathing relaxation techniques tailored to new parents, as a way to deal with stressful situations that arise when you’re caring for a baby. All instructors are kid-friendly. It’s never too early to expose your little one to the magic and goodness of yoga. Facilitators use stories, images, and songs to teach guided breathing. OMG Yoga is a bit different from other postnatal yoga classes on offer in Singapore, because here, bub gets a workout, too! With OMG Yoga, you’ll have to organise a private group or individual class in order to accommodate to your own personal schedule. Inspire Mum and Baby offers baby yoga classes on a private or private group basis. These classes give quality physical stimulation for young children while encouraging bonding and attachment with you. Head to Kate Porter Yoga for a fun-packed class, with a focus on teaching children about concentration and stillness while also focusing on strength, coordination, and flexibility. There are also parent and kiddie yoga classes available if you’d like to join your little one. Om Shiva Yoga offers a wide array of yoga classes, specialising in all ages — from prenatal and postnatal yoga lessons to kids and parents lessons. Om Shiva Yoga adds additional flare to lessons, combining traditional yoga methods with creative games, musical performances and storytelling to create an engaging and fun yoga class for children. It’s the perfect way to add a little bit of zen to your child’s highly-stimulated brain! Prenatal and postnatal yoga is great for strengthening your core and regaining your strength, especially after giving birth. It is important to look after your own health alongside the nutrition of your baby. 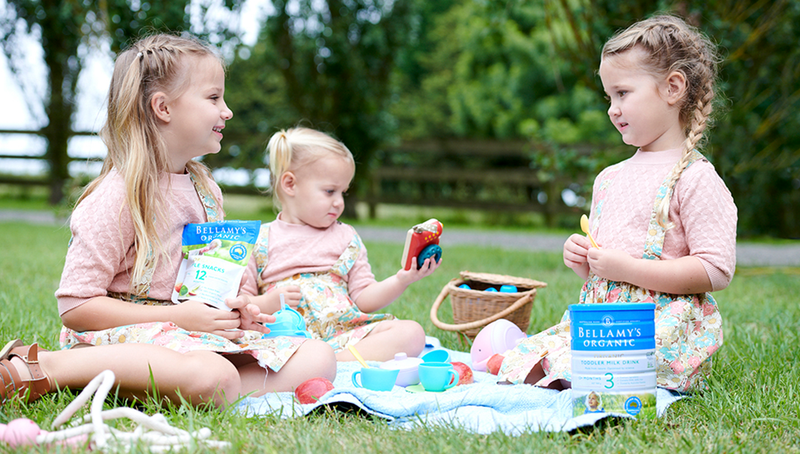 Take a look at our full range of products at Bellamy’s Organic — we offer milk, ready-to-serve baby food, snacks and more. Contact us today if you have any queries. When Will You Feel Like You Again After Childbirth?